The world of connected machines, sometimes called machine-to-machine or the Internet of Things, is now becoming tangible from both a technological and commercial perspective. However we are all still inundated by the hype proclaiming the pot of gold sitting at the end of the IoT rainbow, but how near are we to that pot? That 50 billion connected devices prediction has now become ubiquitous, but where is the scale? What will generate a return on investment, or do we all need to keep chasing after the rainbow? These things, or IoT devices, will be used for an enormous variety of applications all with very different communication requirements. They will also be deployed in a wide variety of locations, some of which will be hard to reach either because they are remote and outside the range of most communications networks, or because they are underground or deep inside buildings. Existing IoT/M2M applications use a combination of different technologies. Wireless mesh is used for process control on industrial sites and for connecting smart meters across neighborhoods. Wi-Fi is used in homes and offices to connect devices to a fixed broadband connection or a WWAN device with a mobile SIM. Home area networks connect devices in basements and meter boxes to connectivity hubs. Cellular mobile network operator networks are used for some IoT applications but have failed to get to the pot of gold because of high device and usage costs; the difficulty of siting fixed units where there is guaranteed to be a strong signal; and the inherent over-the-air protocol overhead, which is inefficient for sending small data payloads. New solutions and complete ecosystems are emerging and are being deployed that have been designed specifically for the IoT. These solutions operate in the license exempt ISM frequency bands below 1gHz; this frequency band has optimal radio properties that will enable long-range communication, up to 10 miles to IoT devices in remote areas, indoors, or underground. They are also optimized for low power operation with a long battery life – more than 10 years from a single AA battery. They have very low requirements for data traffic, less than 1,000 bytes a day, and have efficient protocols designed specifically for small data payloads. They send small amounts of data about status: fill level, pollution percentage, electricity usage, tracking information on a scheduled basis. They can also be exception-driven, a specific event has happened; a car has parked, a tank is empty, a water level has exceeded its set limit. IoT Industry Analysts call these technologies Low Power Wide Area Networks (LPWAN) and forecast that they have the potential to connect up to 80 percent of IoT devices in 2022. There is not a simple one-size-fits-all answer to the IoT. For very high data rates there are wide area networks, 2G, 3G, 4G (SMS, GPRS). For short range, local area network or home area networks, Wi-Fi, Bluetooth Low Energy, ZWave, or ZigBee are used. LPWAN provides the missing piece, long range, low power and low data rate – but is it the fast track to the pot? LPWAN’s will need to co-exist and operate with these short-range and SIM-based connectivity options as part of a heterogeneous IoT network that can provide the best connectivity option for the respective application use case requirements; range, battery life, data bandwidth, latency, cost, and QoS will all need to be considered. An enhanced security application could use cellular connectivity to constantly stream video feeds from a CCTV camera combined with motion or sound detectors and door locks sensors communicating over LPWAN. The LPWAN sensors could be sending scheduled status updates or event-driven warnings in case of an emergency; this secondary feedback when correlated with the video feed would provide holistic information to the security professional on site or the law enforcement agency. Scale IS coming, standardization and a strong ecosystem of partners working collectively is convincing many MNO’s to roll out LPWAN networks to complement their existing cellular and fixed line infrastructure. Bouygues Telecom, KPN, and Proximus have all made recent announcements of national network plans, and there are many more in the pipeline. These networks will be public and will facilitate the growth of consumer-based LPWAN IoT as well as the smart city and business-based applications parking, waste disposal, metering, security, etc. Sagemcom in a recent press release announced it is investigating using LPWAN to provide geolocation of IoT devices, which it says could be quite precise and, unlike GPS, would work both in and outdoors. A key challenge to commercially operating a heterogeneous network is how to monitor, manage, and monetize the multiple access technologies. Each technology has a complex value chain with many bespoke architectures, different management, visualization and billing platforms – an expensive and time-consuming prospect with multiple monthly operating overheads for each. At Stream Technologies we have turned network problems into software problems and have solved this complex issue. IoT-X, our unified access environment, can access data from any IoT device irrespective of technology; it is simply a unique endpoint on our network. We make data and connection type transparent to the network operator – cellular, satellite, or LPWAN technologies. It includes subscriber management, detailed device analysis, connection status, network monitoring and billing, and a super resilient backhaul infrastructure to provide a virtual state of network representation all from the same environment. IoT-X can provide multi-tenanted LPWANs as customer segmentation is simple with the advanced data routing algorithms. The billing capability can either be the traditional data tariff model for cellular devices or for LPWAN can simply be based on data usage or number of connections ensuring that the very low operating cost for these devices is met. We have already performed the integration with MNO’s satellite operators and the leading LPWAN technology providers so that our customers do not have to – a heterogeneous network in a proverbial box! As new applications use the low cost LPWAN’s to provide connectivity to large numbers of IoT devices, and real business models are created based upon these multiple connectivity IoT networks, services not just to improve our lives and businesses but also to further optimize the use of valuable natural and human resources will evolve. This will drive the real IoT explosion and will ensure that we do not need to chase that rainbow forever. Homogeneous is yesterday. Heterogeneous is the new black. 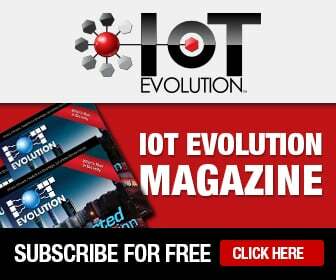 The IoT-X platform was recently identified by ABI Research as “one of the most disruptive technologies to hit the IoT market in years,” in its report Hot Tech Innovators at the beginning of the year. Tracy Hopkins is Senior Vice President of low power radio networks at Stream Technologies (stream-technologies.com).